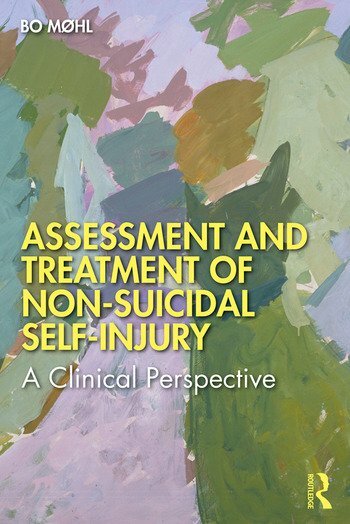 Assessment and Treatment of Non-Suicidal Self-Injury: A Clinical Perspective is the ideal primer for anyone who works with people who self-injure. Profiling who is affected as well as what their behaviour includes, the book explores the range of factors behind why people self-injure, from the influence of social media to the need for self-regulation, and offers recommendations for both assessment and outpatient treatment. Throughout, the book is permeated by profound respect for those who use self-injury in an attempt to live a good life, while conveying a deep understanding of the challenges that self-injury presents for family members and treatment professionals. It recognizes that the behaviour can spread in hospital wards or other institutional setting, introducing the concept of self-injury by proxy, and assesses the range of therapies available, including CBT, MBT, ERGT and family therapy. Each chapter is complemented by clinical vignettes. In an era when a great number of professionals will come into contact with someone who self-injures – including teachers, social workers, nurses as well as therapists - The Assessment and Treatment of Non-Suicidal Self-Injury is an invaluable resource that examines both the causes and treatments available. Chapter 1. What is self-injury? Chapter 2. Non-suicidal self-injury – an independent diagnosis? Bo Moehl is a Professor of Clinical Psychology at Aalborg University in Denmark. He holds an MA in Literature and Education and an MSc in Psychology. He has published several articles and books about general psychiatry, psychotherapy, sexology and self-injury. He is trained in Group Analysis, MBT and DBT and has been treating self-injuring patients for more than 20 years. He is a member of the International Society for the Study of Self-injury.